Here at Ideas Box we are always looking to provide unique and creative ideas for every single type of event. From weddings to corporate we do it all. No event is too challenging and every single member of our staff is willing to go that extra mile to make your event so memorable that it’ll live long into distant memory. We are well into the summer party season and wow have they been memorable this year. I recall serving guests on the Pick N Mix tricycle and watching their faces light up at a long lost past time – sweets and a seemingly endless supply of them! 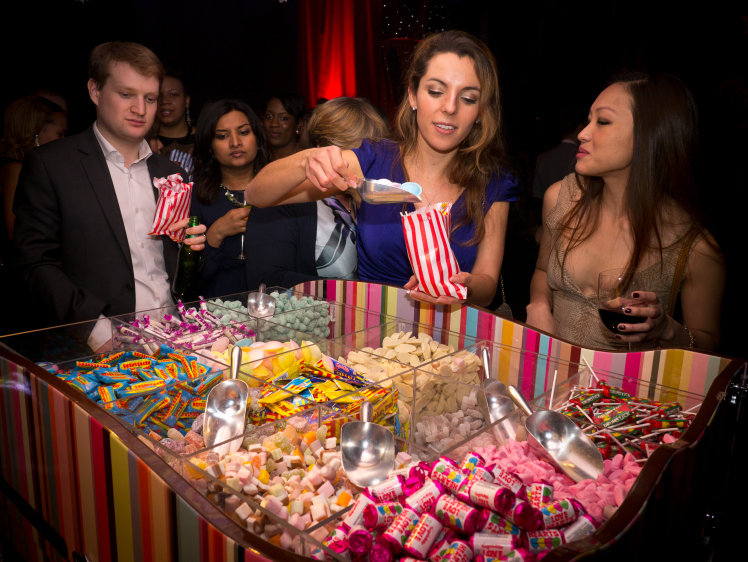 Our Pick N Mix tricycle contains 48kg of sweets and up to 15 different varieties at a time – enough to keep all of your guests happy I am sure of it. Sweets and events are a beautiful combination, a marriage made in heaven so to speak. The drinks are flowing, the guests are laughing and the music is playing softly in the background, the sweets could just add that extra level to your event. Perhaps turning it from spectacular to outright perfection? 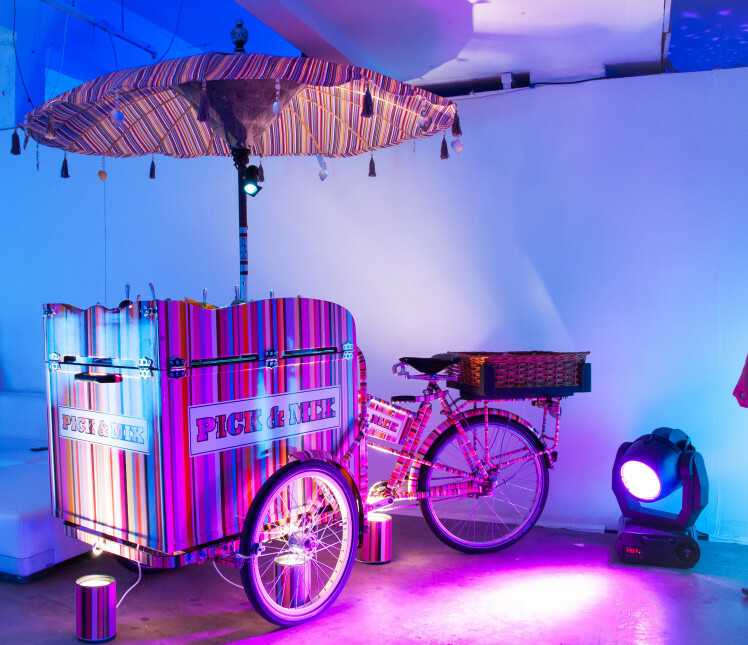 Imagine seeing your guests gleefully milling around a Pick N Mix tricycle, tucking into their childhood memories of penny sweets, now wouldn’t that be something? That’s the power these magnificent tricycles have on people, they recreate memories and help to establish new ones. But it isn’t just the Pick N Mix tricycle that has that effect. 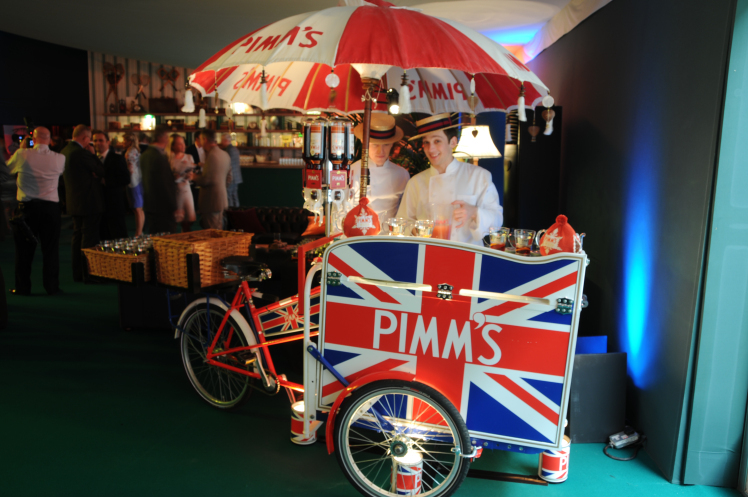 Our Pimm’s tricycle is extremely popular with guests, so much so that we usually run out of servings way before the end the end of events. Made with fresh fruit, hand prepared on site so that we can offer you the full Pimm’s experience. Just know we never cut corners. 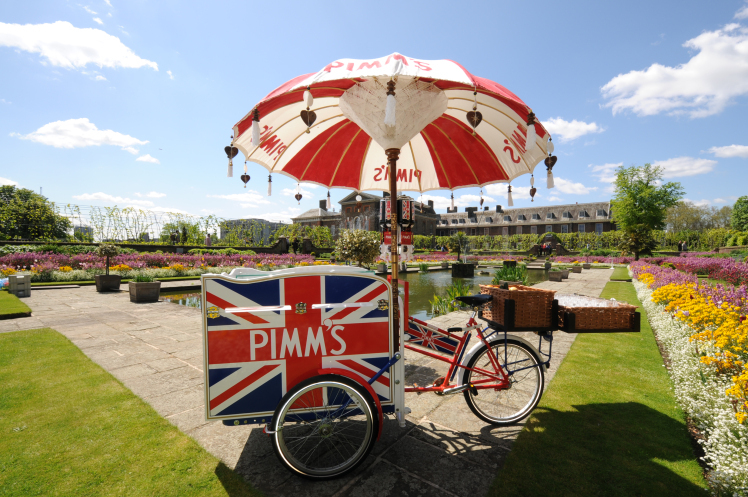 But if you’re sitting here reading this and your summer party or corporate event has been and gone and you’d have to wait a whole year to experience the perfection that is Pimm’s, well think again. We offer a winter Pimm’s service just as special and popular as its summer counterpart. Mulled wine tickle your taste buds? We do that as well, we are the complete package. Warm up with our excellent drinks service and escape those winter chills. What I’m trying to portray is that no matter what event, style, guests, size etc we can accommodate and generate something spectacular for you. We run on a client to client bases so you will receive 110% effort and commitment from our office staff to our operators I can ensure you of that. Enquire here. We really do look forward to potentially working with you in the future. This will be a weekly blog so feel free to keep checking back, follow our blog and social media to keep right up to date with all things Ideas Box.